C4 is prepping for the big screen! 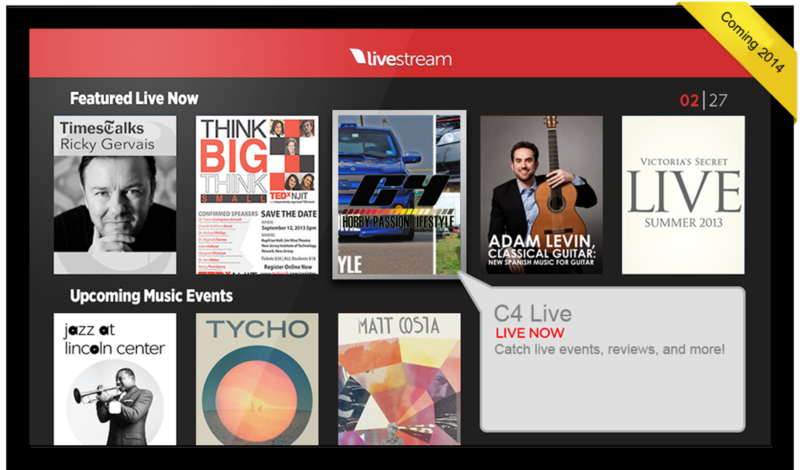 C4 Live powered by Live Stream will be coming out to your mobile devices and tv screens. Check out the info here. So get ready, it'll soon be prime time for C4.